Facts To Know Before Getting Cartilage Piercings - Cherry Colors - Cosmetics Heaven! Other than the regular piercings, the next most common piercings are cartilage piercings. It's a unique experience where a different kind of artistic accessory gives you a bold look. You may be courageous enough to brave this piercing, but you may still be wondering what to expect when you finally have that cartilage piercing. You’re on the right track. 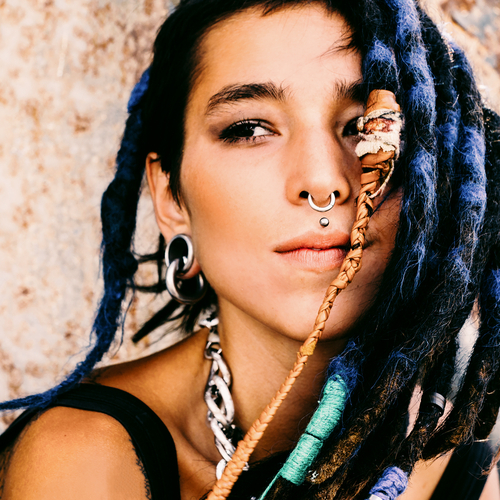 It’s crucial to do your research regarding body modifications before going through the whole process. It's exciting to get your first cartilage piercing; you might do some initial research on it. You might want to know what to expect when you have it done. Read through this article for some facts to know before getting cartilage piercings. 1. What is a cartilage piercing? Cartilage piercings are any kind of piercings that, of course, involve going through the cartilage and the skin. Cartilage piercings are piercings that go through the navel, eyebrow, or ear cartilage. Cartilage is connective tissue that's harder than our skin but not as hard as our bones. When getting a cartilage piercing, the needle goes straight through the cartilage, and the jewelry is attached afterward. For cartilage piercings, the needle used will be sharp which lets the piercer have more speed and precision to puncture your skin and cartilage. Next, the jewelry will be inserted at the end of the hollow needle. Before, a piercing gun was used for these kinds of piercings followed by a loud crunch as the stud gets forced straight through your cartilage. However, piercing guns aren’t designed to penetrate through cartilage. You may be shocked by the non-existence of initial pain once the needle goes in. Initially, the pain is far less than expected. The piercing just feels like a scratch. However, don't let this fool you. The newly pierced area may swell, and that's when you'll feel some throbbing or an ache. Because of this, you'll need to give an extra care in your movements to avoid brushing up against the pierced area as this can be quite painful. Piercings on earlobes heal a lot quicker because of blood flow there. However, there’s less blood flow in your cartilage, which makes the curing period for cartilage piercings range from three to six months compared to tongue piercings at four to six weeks. During this time, you must be as gentle as possible when it comes to the pierced area. Try not to apply any pressure. You must also keep the pierced area as clean as possible to avoid infection. In addition to that, since cartilage isn’t used to foreign objects lodged to it, it might get itchy and start to become infected. In this case, you’ll need strong antibiotics to heal the infection. 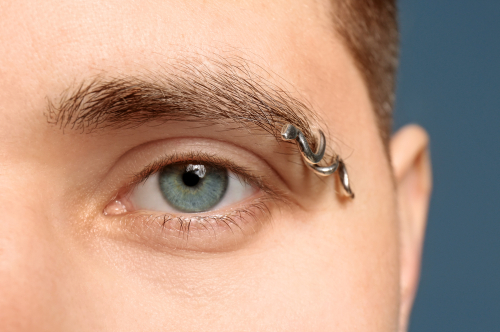 Each and every day, clean all sides of your piercing with a saline solution and a cotton ball or pad twice a day. Follow all cleaning instructions from the person who did the piercing as well. This is true, especially if you get your cartilage pierced in your ear. If you sleep on your sides, you’ll apply more pressure to the pierced area. A suggestion is to put another pillow on the left side of your head to keep you from landing on your ear. You’d have to sleep facing up the whole time to prevent hitting your ear. It’s going to take some getting used to. If you’re looking for some jewelry to go with your piercing, you can check out the official website of Get Name Necklace for some rad jewelry. If you’re looking for someone who’s also experienced cartilage piercing, you can also drop by this website for some tips. Now, you’re ready to get your piercings one after the other.